But let’s look more closely at why, and also look at why other feeds may NOT be so great. And let’s take a close look at why these commercial feeds may actually be directly related to, and in my opinion the very cause of many of our overweight, cresty necked, insulin resistant, allergic and laminitis prone horses today. In addition, we’ll consider why the idea of supplementing either commercial or individual grains, oats or otherwise, with vitamins, minerals, microbials, etc. is critical as well. So what is bad about oats? Oats like ALL grains are mineral and vitamin deficient. Horses simply can’t get the overall nutrition that they need from any grain UNLESS they are fortified. Oats, corn, barley, etc., etc. are all are deficient. Today, what farmers essentially use to fertilize is chemical fertilizer. The 10-10-10’s or 2010-10’s are only nitrogen, potassium, and phosphorus: 10% nitrogen, 10% phosphorous, 10% potassium. What happened to all the other minerals on the periodic chart that we learned about in high school? To make matters worse, these fertilizers are salt based. Salt destroys the soil over time and makes it very packed, claylike and sticky – AND in doing so kills the earthworms, the soil’s true method for oxygenation. BUT fertilizer sure does make the grass and crops grow, doesn’t it? Have you ever thought about how salt attracts water? Alright, now we have nice lush grass and crops or grain full of fertilizer and water. Doesn’t that sound nutritious? On the positive side it does weigh more, looks great and brings more dollars for the farmer despite its lack of nutrition. I don’t mean to be critical, but I assure you the ones who are really profiting here are the petrochemical companies selling this junk (not to mention the pesticides and herbicides being sold,because our ground is so sick) and the pharmaceutical companies selling the drugs because we AND OUR HORSES become sick. With the cost of such expensive farming it is truly a wonder ANY farms are still in business. Since I don’t work for a major university who teaches such farming practices (and receives lots of money from such megalopolies), I guess I just spilled the beans! Praise the Lord for the up and coming organic farmers – they deserve your dollar! VERY few, if any commercial feeds that I am aware of are corn free, and most contain lots of corn at that. Now granted, corn has gone up in price lately because of the alcohol gas that is being made from it, so more than likely you will find corn being used less now than before. BUT what you are also likely to find is that more molasses and other sweetening additives will be used to cover up the other worse tasting grains (or whatever) that will be substituted. Just so you also fully understand – molasses IS SUGAR. Both cause insulin spikes, subsequent insulin resistance from over- production by the body, hypothyroid, Cushing’s horses, etc. Sugar highs (hyperglycemia) and sugar lows (hypoglycemia) are the culprits. Feeding corn and sugar at the morning meal is like us eating donuts and candy for breakfast. These high sugar levels wear the pancreas out. The pancreas produces insulin to handle the sugar and then later in the day the sugar low causes tremendous stress on the body because the body is starving to death. This hypoglycemia also wears out the adrenals (glands that handle stress) and eventually hypothyroidism, Cushing’s (from over production of adrenal glands), and laminitis, as well as metabolic issues of all types can result. Heck, the body is “just flat out worn out” from working too hard trying to handle the ups and down of simply living. The body’s reserves get worn out simply from living and sometimes even the slightest stress can cause havoc. So what is the answer to feeding today? Our choices are countless. It is so easy to be swayed by feeds that talk about low carbs, senior feeds and even such things as beet pulp. But I keep going back to oats! 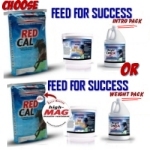 All commercial feeds are produced to “hit the middle of the road” when it comes to vitamin and mineral fortification. For instance, a typical formulation might provide the correct nutrition for a 1,000 lb horse that, say, eats 10 lbs of that feed each day. That is about 1% of the body weight…. So if the horse ate 10 lbs that day he would get “everything” he needed. Does every “typical, average” 1,000 lb horse in your barn eat 10 lbs each day? If they all did, chances are that you would have some horses that looked like the Goodyear Blimp and some that were as skinny as a rail! They all need different amounts of grain – they all have different metabolisms…. just like us. What about that easy keeper horse that only eats 5 lbs? Is he not getting only ½ of what he needs of the “extra fortification”? How about the horse that needs more? Is he not getting too much? Let’s take this just a little further about the easy keeper, cresty necked, overweight horse, since this is one of the biggest problems I see today. If your horse fit the above description, what would be the first thing you would do? Most likely you would give him less feed, right? But if you cut back would he not be getting less of the “added” vitamins, minerals etc? Chances are, he was already the easy keeper 5- pounder-horse and now you cut him back more! Definitely the right thinking but definitely missing the very important point that he needs the vitamins and minerals regardless of how much grain he eats! If you feed less of such “premixed”, he gets less of the very nutrients that he really needs to regulate his metabolism in the first place. Such deficiencies eventually lead to hypothyroidism, laminitis prone, metabolic, Cushing’s type situations. The point is that regardless of the amount of grain you feed – you must supplement the vitamins and minerals if you have an easy keeper, otherwise you will have an even sicker easy keeper! And certainly hard keepers get out of balance, too, from getting too much. Once again I suggest oats to handle the problem, regardless of carbs, because oats are easiest to balance – Just add a vitamin mineral supplement to whatever amount of oats that horse needs to maintain HIS proper weight. If you are already feeding commercial grain, simply gradually switch to oats over a week or so. 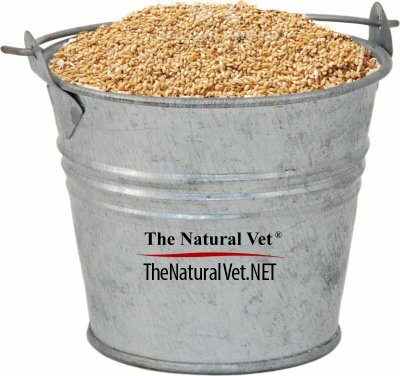 After he has been on that same volume for awhile you can give more oats or less depending on the horse’s personal weight needs. 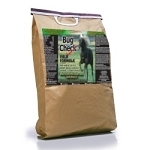 Each day just add the vitamin, mineral supplement as a top dressing at every feeding. That way you know he’s getting the correct amount of both oats and supplement. I know this sounds elementary but it is critical, especially for easy keepers. By the way, clean, whole oats are fine. Crimped are only about 6% more efficient and once the hull is cracked they start going rancid. Flax seed is also very likely to go rancid by the way, one of the reasons I generally don’t suggest flax – it goes rancid much faster, a problem especially given the way we have to buy in bulk for our horses. I had a person tell me the other day that horses were not likely to get oats in the wild? I wanted to say “Lady, here is your sign” but I didn’t! I reminded her that horses sure were not going to get corn, sugar, or cooked pellets in the wild and that seed heads such as oats were about as close to whatever they could get in the wild. Oats are the seed off of about the closest thing to grass I know! Horses were made to eat grass- right? I am amazed at all the info out there on grass and easy keepers. Only let them eat 1 hour here and one hour there, and only at night and not day, and soak your hay to get the sugars out and on and on and on and on. Can you imagine abiding by such recommendations? It is just not feasible – especially with the 30 or so horses we have – and ours are all easy keeper mountain horses. 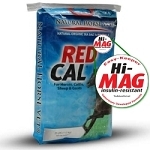 Oats, added supplements (vitamins, minerals and GOOD FAT), decent hay (or the grass in summer) and FREE CHOICE NATURAL SALT AND MINERALS – (see the article on laminitis) will answer your problems and prevent problems. I am telling you that thousands upon thousands of horses can’t be wrong! Now before I close I want to discuss one more very important supplement that is needed – GOOD FAT! Now I know I am picking on commercial feeds here but in my humble opinion they need it - pretty much all commercial feeds contain JUNK FAT! AND this is probably the biggest reason we have so many overweight, insulin resistant horses today. Junk fat is in our horse feed just like it is in our food! JUNK FAT IS KILLING US AND OUR HORSES! 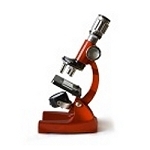 Processed, hydrogenated vegetable oils (flax, corn, etc.) are destroying our cells internally and even messing with our nervous systems – nerves and cells are all surrounded by fat membranes. It has the effect of making all such membranes impermeable, like plastic balls. Today, diets are higher in fat than they were in years past, especially senior feeds and “low carbs” type diets, BUT THE PROBLEM is the type of fat they are using is awful. If your feed says only vegetable oil or doesn’t say that it is NOT HYROGENATED, chances are it is – and, again, awful for our horse. The same goes for your food, especially snacks - read the labels and avoid these fats. BUT remember - horses do need fat. It should be a great source of omega fatty acids (they need omega 3, 6 and 9, by the way, not just 3). These fats “slow” the absorption of grain, oats or otherwise making the digestion process slower, and obviously will help lubricate the gut as well (great for sandy conditions,too). In addition, these good fats are great because they nourish the cells. I prefer to use crude, cold pressed, NON hydrogenated, NON refined soybean oil. Have you ever heard the expression that “the only way to burn fat is with fat” – well I do believe it is true, because these fat horses (and people) do get better when the good fat is used to displace the bad. I have no doubt that cells, overall, just start to function better n conjunction with these fats because the membrane’s major function is to allow the good stuff to get in and the junk to get out. I suggest good fats for all horses as both a preventive and a treatment. 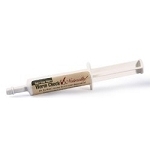 Yes, too much can make a fat horse, but a couple ounces per day of our GMO-Free Weight Check Oil, that meets all of the preferred criteria set forth above can make all the difference in the health of a horse. You can actually see the difference in just a few weeks. I also think that any metabolic, even EPM, neurodegenerative horses require lots of good oil. I have a sneaky suspicion that many “super bugs’ such as those that cause EPM get trapped in fats cells and good fats can flush them out, so to speak. Regardless, they are healthy – commercially used fats are generally not! By the way, I have had many people ask about beet pulp over the last few years. Beets have essentially no nutritional value except fiber. Why pay for “extra fiber” when hay and or grass would do the same? Also, beet pulp is a by product of the beet industry and a lot of pesticides are used on beets - roots do tend to accumulate more pesticides than plants. Just food for thought! I suggest this approach for essentially all horses instead of commercial feeds. 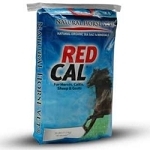 Such customization is really rather easy - give the horse whatever amount of oats he needs, add the supplement, add the oil and check the free-choice salt and mineral bucket to make sure it is available, and you have a healthy horse ( I do suggest you check out our website on the types of salt and minerals that are best).